After a number of delays and a bit of finger-pointing, T-Mobile is ready to issue Android 4.0 to the HTC Sensation 4G. The HTC Sensation 4G is T-Mobile's next smartphone to receive Android 4.0. 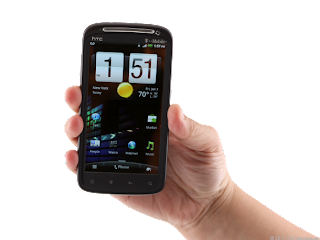 After a number of delays and just a bit of finger-pointing, T-Mobile finally is set to deliver Android4.0 to the HTC Sensation 4G. As one of the carrier's premier smartphones of 2011, the HTC handset should only get better when it picks up Ice Cream Sandwich (4.0.3) on May 16. The details of the update are listed on T-Mobile's support page along with guidelines for performing the update. As is the case with other Android 4.0 updates, the Sensation 4G will benefit from options such as resizeable widgets, face unlock, and home-screen folders. Given that we're talking about an HTC smartphone, the device will also see an update to the custom Sense UI, bring it to v3.6. T-Mobile also plans to deploy the Android 4.0 update to its HTC Amaze 4G in the coming weeks. Although the carrier has yet to outline a specific date, I'd assume they want to make sure the Sensation 4G works well before proceeding with the next model. I'd look for some more noise on the matter in early June.